Please select options for BBK Cold Air Intake (05-09 GT) at the top of this page. Hey everyone, Dave from Bama performance, with me today I have BBK’s aluminum and titanium colored cold air intake kit, it fits like the car you see over my shoulder, the 05-09 Mustang GT. Now this features the high flowing and reusable filter, along with this sturdy aluminum tube, and all the necessary couplers, hardware, and heat shield that you need to get some decent gains on your 05-09 GT. What we’re going to do today is get some dyno numbers with this kit installed to see what kind of gains we produce, before we do that, let’s put our GT up on the dyno, to get some bone stock numbers , and move on from there. It came out with 257 horse power, and 285 ft/lbs of torque with the factory airbox in place. Now, we’re going to go ahead and remove this, install our BBK, and combine it with a Bama tune. 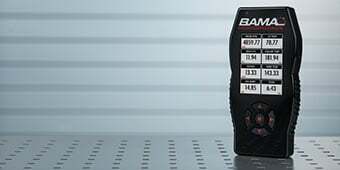 We installed a 93 octane Bama race tune, here’s what this will do for you, it will give you optimized spark timing, adjusts your variable cam timing, give you a perfect air/fuel ratio, and dramatically improve your throttle response. Even though this BBK part doesn’t require a tune, we’re looking for maximum results today, so we’re going to combine it with a Bama tune and re-run it on the dyno, to see what kind of gains our GT picks up. And the end result, 22 more horsepower , and 20 additional ft/lbs of torque. Improves Horsepower. The BBK Cold Air Intake kit completely replaces your 2005-2009 GT mustangs restrictive factory air box and paper filter element with a high flow BBK filter assembly for a noticeable increase in horsepower and acceleration while providing filtration of harmful power robbing dust particles. The BBK CAI improves the airflow path into your engine creating more power. No Tune Required. 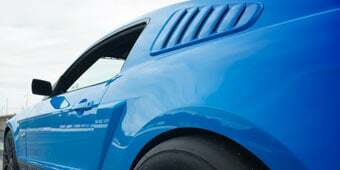 Unlike other Cold Air Intakes on the market for the 2005-2009 GT mustangs the BBK CAI does not require a computer re-tune. The engineers at BBK really did their homework to improve your pony's power using the factory tune. Reusable Filter. BBK designed the high flow cotton air filter to be reusable. So no need to go out and buy a new filter every few thousand miles. Just clean the filter, re-oil it, save money, and go! Titanium Powder Coat Finish. 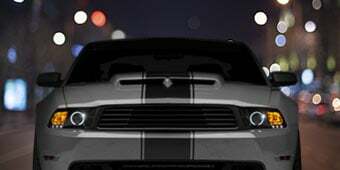 The BBK CAI not only improves your pony's horsepower and acceleration, but improves your mustangs under hood appearance with a beautiful Titanium Powder Coat Finish. You'll be sure to attract attention at all the car shows with this jewel under the hood. CARB Certified. Best of all this BBK Mustang Cold Air Intake Kit is 50-state smog legal under Carb EO# D-245-14 (applies to 2005-2006 GT only). Application. This BBK Cold Air Intake System is specifically designed to fit the 2005-2019 GT Mustangs equipped with the 4.6L V8 engine and does not require re-tuning the vehicles computer for operation. I have a BBK CIA, ive had it a few years now. I read that you can "Just clean the filter, re-oil it". How do you "clean it" and oil it? Ive never owned a CIA before so this is new to me. Thank you! Hello! Most companies that make intakes, also produce and sell cleaning kits that will include everything necessary for cleaning your air intake, as well as re-oiling it. Is Premium Fuel Necessary with BBK intake? Would like a better performing intake,but, do not want to be forced to buy premium fuel. Same question for the Ford Racing intake. 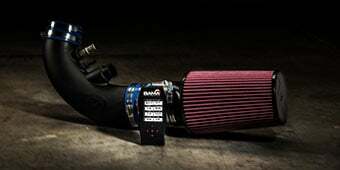 Which cold air intake is best performing WITHOUT using premium fuel ? 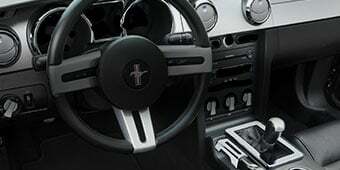 BBK Cold Air Intake and Dyno specs without Tune What are the dyno specs for the Mustang GT after installation of the BBK silver titanium cold air intake without tuning? Same question for the blackout model. Is there a difference in the dyno specs, between the black out and silver cold air intake in cold vs hot weather? um... 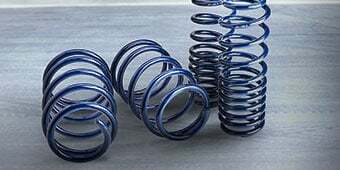 I think they are exactly the same in every single way except color but I could be mistaken... but I'm thinking there would be no difference in dyno results because they are a different color as far as tuning goes... not even a question to ask... just get the tune it makes a huge difference. CAI alone you prolly won't see much of a difference if at all. Combination install of BBK CAI kit and BBK 62mm throttle Body would produce what range of RWHP gain. Where do place voltage probes before removing throttle Body? The BBK Cold Air Intake paired with the BBK 62mm Throttle Body will produce around 12-18hp together, depending on other modifications. 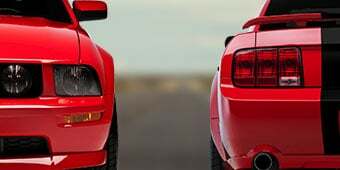 Throttle position voltage should be checked on the stock throttle body, and the BBK should be set to match the original reading. This will work on your stock Mustang, the BBK 62mm throttle body will not need to be purchased to install this on your Mustang. At this time we do not offer individual components for the BBK Cold Air Intake. We would recommend contacting BBK directly, as they may be able to source this for you. Only reason I’m giving four stars is the install. The intake tube was a pain to attach to the air filter and the directions weren’t much help. I just YouTubed it and figured it out no biggy. Overall the install went well besides the minor issue and it looks great under the hood. It came with everything I needed to install and didn’t require any additional parts unlike the Roush air intake I’ve read about. Don’t know if gas mileage has improved yet but I did notice a pick up in acceleration and the engine runs smoother. I would recommend this to anyone. Very happy with the performance results from this CAI! The BBK CAI looks great under the hood as well! Looks great, and sounds even better! I was skeptical about performance gains, but am thoroughly impressed with this CAI. Easy instillation, added power and a good sound, works as it should! The BBK Cold Air Intake for my 06 Mustang GT is amazing. It boosted my horse power by 12 horses after taking it in to a dyno. The only problem was that the vacuum hose was to short. Nothing a quick stop to your local auto store can't handle. Over all great produce! This is a great product. It fit great, except the vacuum hose. It was a bit short. I just rebuilt it with another hose, using the existing connections. The performance gain was immediately noticeable. 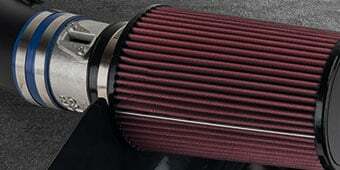 I had this intake installed in my 07 GT, along with a BBK 62mm throttle body. My Mustang at idle was around 2600 rpms. The car would not idle down. Took it back to the shop and purchased a tuner. The idle did get better with a tune, but still the idle was to high. After a 6 month long head ache I pulled both units from my car and returned it to stock. Bad idea. My 08 gt sounds differently better; runs faster; breathes better and looks better under the hood. Didn't require a tune, but since I have my BAMA, i tuned it anyway. Awesome CAI. Highly recommend it. Pros.... Product looks great super easy install...Cons...Said no tune required but Check engine light came on.... So u have to tune or drive with light on and thus is not good!! looks great works great and easy. 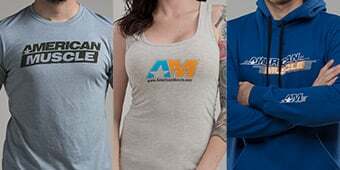 First part I've ordered from AM and for my car period, shipping was fast and wished the part didn't just come in the BBK box for all the world to see what you orderd, but I had no problems. Install was very easy and straight forward, I used a video while installing. Instantly noticed a difference in performance and will defiantly recommend this product to anyone looking for a easy mod. AM will defiantly have a new frequent shopper. Also I haven't had any problems yet with my Stang running lean I've had it installed for 3 days now and drive 60 miles to work round trip. but I plan to buy a tuner as my next mod anyways. I bought this CAI because it said NO TUNE REQUIRED. This was not the case for my mustang. It was easily installed but my first run up the road and the check engine light came on. I disconnected the battery to make it go out but after driving for a few minutes it came back on. I called up customer service and was told that about 1 in 50 would have to have a tune and so they offered to sell me a tuner or send back the CAI at their expense. I chose to buy the tuner and asked for a discount since the CAI did work like it should have. Wound up giving me $40.00 off of a $400 tuner. 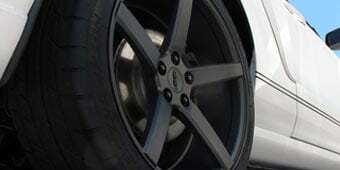 Other than having to tune, it seems to be a great product and does improve performance greatly. Just be prepared to buy a tuner when purchasing the BBK. Overall I am satisfied with it and customer service was willing to work with me to get the issue resolved. Will buy more Mods from AM. So I bought this with the tuner thinking it might sound a little better and run a little smoother and maybe feel a little tougher.... along with the 3:73 gear upgrade all I could do is laugh hysterically as I was roasting my tires off in first, then second, then third gears and then once I finally got some grip..... KACHOW!!!! I'm outta here!!! UN-FREAKING-BELIEVABLE.... come git ya some lil STi sissies!!! Install was beyond simple, only took about 15 minutes including tune install. I was reading one other review about this product that wasn't so favorable... all I can say is that they more then likely didn't do it right because coming from a factory spec GT to this... the title says it all. So BUY this... don't think about it... BUY it. it is more than worth it. you get a little power during a fast shift. I see alittle on hwy. Get this if you are thnking about speed down the road. This is going to be one of your cheaper replacement part once you get into it.